In truth our Light naturally emenates core energies and is a Wholly Trinity Divine ‘Mother’ (Peaceful Loving Compassionate and Kind) Divine ‘Father’ (Powerful Strong & Wise) and our Beautiful radiant Pure Divine ‘Child’ of the Light (Joyous and FREE x). The Mother Father and Son within us all x : ) x. When our core energies within are clearly recognized felt loved honored and understood and when they are fully accepted and allowed to express themselves and be present within your being and your reality you will feel whole happy and complete within. 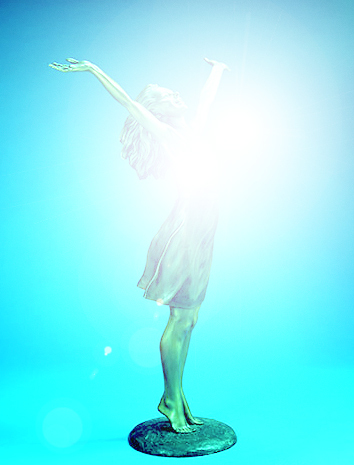 Son : Soul Light : our Pure Divine Child of the Light : ) of our Monadic light : ) x. Father : Monadic Light : as the Soul becomes one with it’s Father Monad it integrates greater Love and Light and becomes Empowered : ) x. Mother : Source Light : the Mother and Light provider to all Monadic extensions and to all Souls through creation and of creation itself which it loves Unconditionally x : ) x fully accepts never judges and is at Peace with all Life. Love your Pure Divine and Beautiful inner-Child of the Light OM x : ) your True Pure Divine Authentic Self within OM x : ) x. During the process of Awakenig and Integration my friends carefully and intuitively watch your energy and reactions within and feel for any hurt or fear that may be guiding your feelings behaviour actions and decisions. If and when you identify these old wounds and patterns Well Done for doing so this deonstrates great internal awareness and now allow them to be cleared healed reprogrammed by your light : ) and conscious choice. Allow your Consciousness your Monad and Source to guide and heal your Soul your true Pure divine inner-chlid and allow your Monad to surrender to the Creator OM x : ) x each and every day : ) GLORIOUS x I Love you all x thank you x. When we truly learn to Love ourselves our Pure divine Inner-light Unconditionally then we will Shine Beautiful and Bright to Be our truth and Love others Unconditionally in the World OM x I Love You ALL x. My dear friends if you have enjoyed this article you may also enjoy this Wonderful Wonderful video by Polona Somrak on our Beautiful Inner-Child of the Light : ) x.